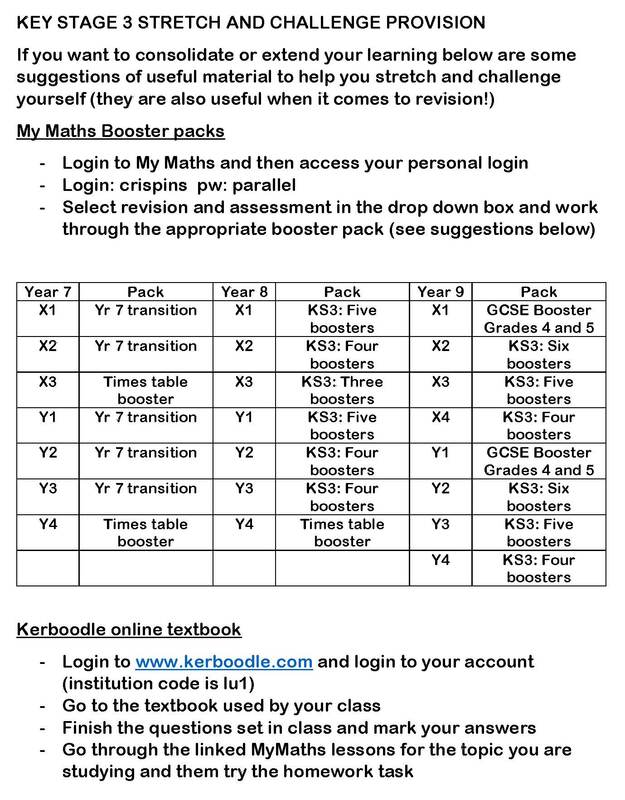 MyMaths text books, relevant to their year group and set, can be accessed using the website www.kerboodle.com along with additional links to lessons and supporting material. Kerboodle login details are issued to each new student in Year 7 in the first few weeks of school. Please click here to view the scheme of work covered in Years 7 – 9. Students are tracked using half termly tests that measure their progress against the new GCSE 9-1 grades. Please click here for more details on what skills are taught at each grade. The students are placed into ability sets using the KS2 data we receive from the primary schools and are in these sets from their very first maths lesson at St Crispin’s. The composition of the sets is reviewed every half term using the half termly tracking tests or as required by a student’s individual development. As students develop at different rates, movement between sets is inevitable. 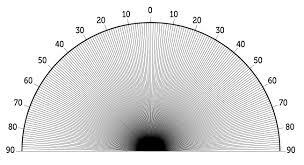 This enables students to make maximum progress. Each student is required to attend lessons with the appropriate equipment. This includes a pen, pencil, ruler, calculator, protractor and a pair of compasses, together with their exercise books and textbooks (MyMaths) which will be issued at the beginning of term. If you require any further information, please do not hesitate to email Mrs Prince, the head of Key Stage 3, on princek@crispins.co.uk.